Orca Solar Lighting can fulfill your solar park lighting requirement with the Avero®, SBL solar lighting bollards, Vertex®, or i1200 integrated. The Avero is an architecturally designed overhead pedestrian light designed to complement the most upmarket open spaces. The SBL solar lighting bollards are a stylish and vandal resistant option for a smaller scale light, running at full illumination from dusk until dawn. The Vertex range is larger scale lighting best suited for 6 meters and higher, and designed for powerful lighting from dusk until dawn at 100% illumination. The Integrated range is a pedestrian scale light (4 to 5 meter mount height) that runs at full illumination for the first three hours of the night, then dims to 25% of full illumination until the PIR sensor detects heat/movement, boosting up to 100% for 30 seconds or until the area is vacated. If your lighting project is in close proximity to existing mains and trenching and cabling is straight forward, grid supply solar lighting with the Vertex may be the preferred option. This requires careful analysis as grid supply solar lighting saves cost when the power is simultaneously used onsite in the daytime, rather than selling back to the electricity wholesaler at a discounted price. However in some urban areas, the cost and disruption of digging up existing roads, footpaths, car parks, gardens and existing infrastructure to get power to the site, or in rural areas, the sheer distance to run mains can make stand alone solar park lighting a more attractive option. 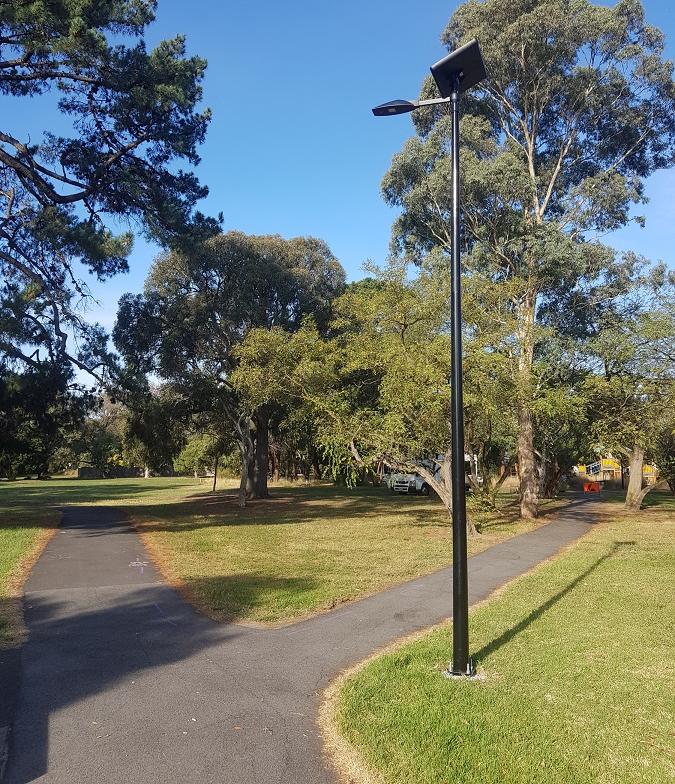 Orca Solar Lighting can also provide solar park lights that will conform to AS/NZS 1158 3.1 P lighting categories with generous distance between light poles. An example of this is for a two meter wide linear pathway with the light fittings mounted at 6 meters, we can achieve lighting category P4 with a large 70 meters between each light pole. 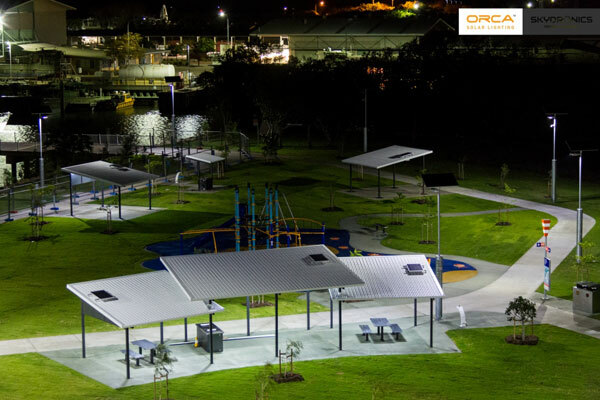 All NSW, Qld, SA and NT local government can purchase solar powered park lighting through the Localbuy and Local Government Procurement contracts, eliminating the need to go to tender or obtain three quotes, with peace of mind that they are dealing with a reputable pre-qualified supplier and purchasing on the best possible terms.